He has mounts in the first, fourth and ninth races. 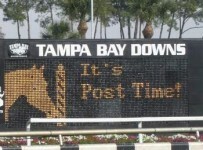 First post is 12:52 p.m. for a nine-race card. 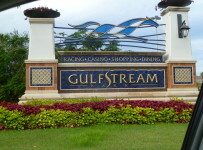 Gulfstream Park has a ten-race Friday card with first post at 1:10 p.m. The carryover on the Rainbow 6 is $229,956. 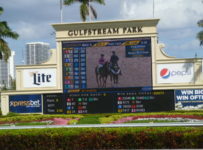 It is on races five to ten with the sequence set to start at 3:27 p.m.
For coverage, please turn to our blog which can be accessed on the menu bar at the top of the home page of this web site.